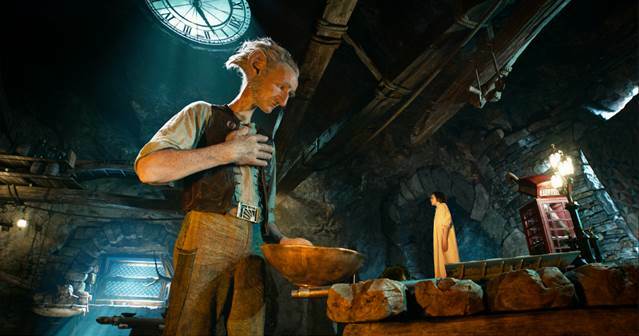 The BFG is a magical story your entire family will love! The movie, The BFG, is based on the children’s book The BFG by Roald Dahl. Unfortunately, we did not have a chance to read it before we attended the screening but after seeing the movie, both of my kids want to read the book so that they can see how it compares! 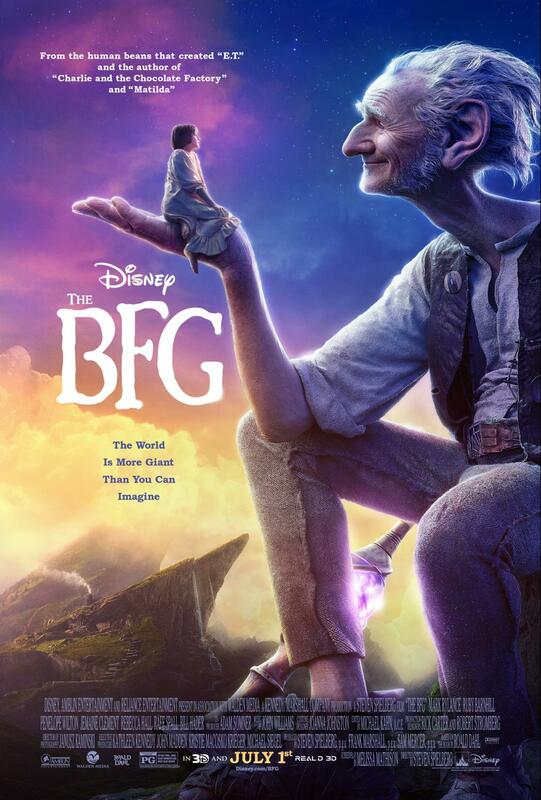 In the movie, Sophie, a young orphan girl who suffers from insomnia, wanders around the orphanage at 3 in the morning (which she has defined as the “witching hour”) and eventually settles into her bed to read when the giant “BFG” plucks her from the window and carries her off to Giant Country. When they arrive in Giant Country, BFG urges Sophie to be careful because his fellow giants are “bone cruncher” “meat dripper” “man gobbling cannybullies” who prefer “beans” (humans) as a food source rather than for their company. He quickly realizes he has met his match with feisty little Sophie who refuses to follow any of the directives he gives. Ironically, BFG is the one who is scared, while “Brave Sophie” emphatically proclaims that she is not! Sophie and BFG have a number of magical adventures including catching a “golden Phizzwizard” (wonderful dream), sharing dreams with families, trying to avoid the other giants, and even meeting the Queen of England! You’ll laugh hysterically at things like the Frobscottle which produces epic Whizzpoppers and be on the edge of your seat at other moments as you wonder if little Sophie will be able to pull through and avoid the other giants yet again. I have talked to so many people who say they haven’t heard of this book or weren’t sure what The BFG meant. Don’t pass this one up! My kids and I absolutely loved this movie from start to finish and will definitely see it again after we read the book! It’s everything you’d expect from a Steven Spielberg movie! Make sure you download the GobbleFunk Dictionary to help you decode The BFG’s funny language! Your kids will love these BFG Coloring sheets, too! DISCLOSURE: My family and I had the opportunity to attend the screening of The BFG. All opinions are 100% mine. 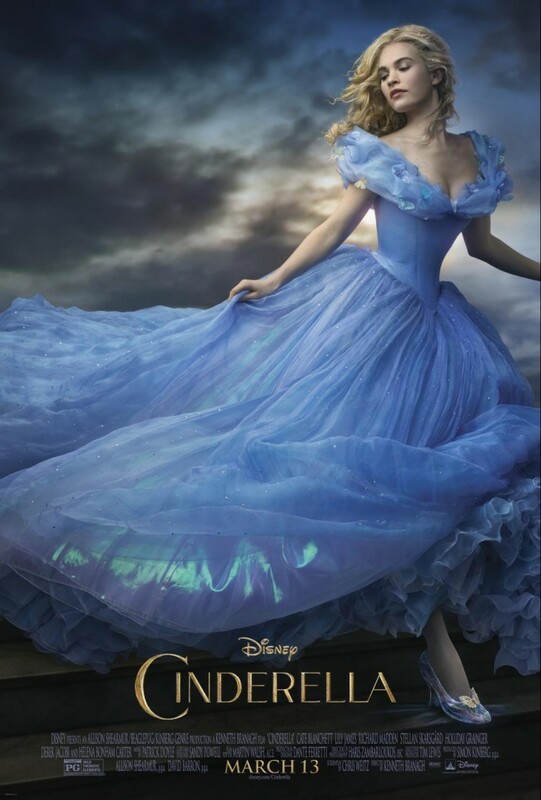 DISCLOSURE: My kids and I were given the opportunity to attend the Cinderella screening. All thoughts are 100% mine! Several years after Ella’s mother passes away, her father decides to marry again and with his new wife, Lady Tremaine comes two new step-sisters, Anastasia and Drisella. 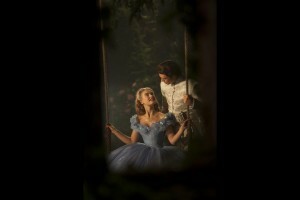 Ella calmly reminds herself of her mother’s advice as she meets them all for the first time and many other times throughout the movie, especially when her stepmother and step sisters treat her cruelly after her father dies, and even give her the nickname “Cinderella” after she falls asleep near the ashes of the fireplace one night. As a parent, the idea that our children learn from us and follow our example wasn’t lost on me, either. The “wicked step-sisters” were petty and selfish like their mother while Ella was kind like her parents had been. Growing up, I loved to watch the animated version, and as an adult, it was fun to watch it come to life so to speak, and I fell in love with the story all over again! After watching Maleficent, I was expecting some sort of plot twist, but if you’ve seen the animated version or read the story at some point, it’s the same basic storyline except we get to experience her childhood and “meet” both of her parents. I felt like a kid again as I watched her fairy godmother transform her for the ball and as she snuck away for a few private moments with Kit, her Prince Charming, before the clock struck midnight. It was a sweet reminder that the magic of fairytales is not just for children (and according to my son, “not just for girls, either”). It’s still nice to have a fairytale “happily ever after” ending! I’m a huge Downton Abbey fan, too, and it was fun to see Lady Rose as Cinderella and Daisy as an evil stepsister! 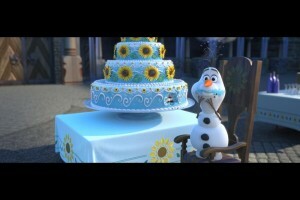 Make sure you arrive early enough to catch Frozen Fever, which plays before the movie! My kids and I couldn’t stop laughing as we watched the latest antics of our favorites – Anna, Elsa, Kristoff, Olaf, and Sven. We can’t WAIT for Frozen 2 to come out! My kids have been watching the previews for the Disney Planes Movie for weeks now and anxiously awaiting the release! They have apparently watched the previews so many times that by the time we actually went to see the movie this week, they knew all of the main characters by name before the movie even started! 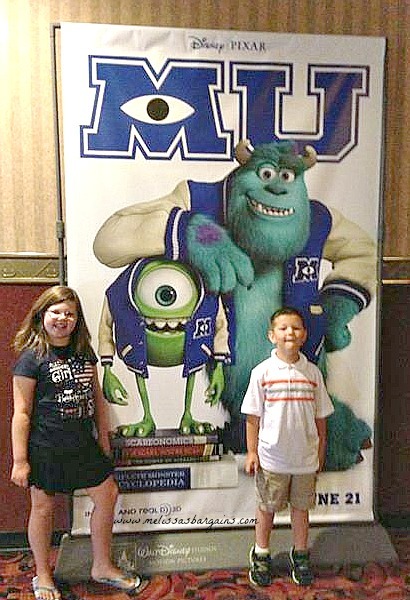 One of the “perks” of blogging is that I get to attend some movie screenings before the release date, and we were all excited to go see Planes earlier this week. If you’ve seen the movie Cars, then you will be somewhat familiar with the storyline in this movie. Dusty Crophopper is a small town crop duster with big dreams! He wants to win a world-wide flight competition. Off course, the odds are stacked against him. Not only is he a crop duster and not built for speed, but he is also afraid of heights! During the competition, Dusty finds a trusty sidekick, El Chupacabra, who is set on winning the heart of a fellow competitor, Rochelle Like Mater in Cars, El Chupacabra isn’t exactly socially savvy and his antics kept everyone entertained throughout the movie. He was probably my favorite character just because you never knew what he was going to do next! Dusty also has a nemesis, Ripslinger, who is determined to win the competition and who vows to do whatever it takes to come out on top. Dusty has his own love interest, Ishani, who is also faced with the inner struggle of choosing between winning at all costs and being true to herself. Like Lightning McQueen and Doc Hudson, Dusty also finds a mentor along the way. Skipper is a World War II veteran with plenty of stories! He helps Dusty learn some tricks of the trade and he learns a few things from Dusty along the way, too! 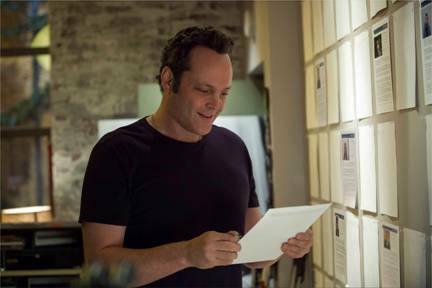 One of the criticisms of the movie has been that the plot line is predictable. When you go to a Disney movie (or any children’s movie), you expect for it to be somewhat predictable. You expect the main character to have an enemy, be faced with some sort of trial, and to come out ahead in the end. Most children’s movies are “feel good” movies that carry a theme of a little guy coming out ahead. If you were expecting something different, you will probably be disappointed,. Although the storyline was comparable to Cars, the characters also had their own unique quirks. Unlike Lightning McQueen, Dusty was a crop duster from a small town. He had humble beginnings, and didn’t have Lightning’s arrogance which made him “likeable” from the start. When I go to a children’s movie, I just “success” by what my kids think. They loved it, and I laughed several times myself. If your kids loved Cars, they’ll probably love this one, too! You can also check out Disney’s Flew Tube for more video clips, Planes inspired recipes, craft ideas, and more! 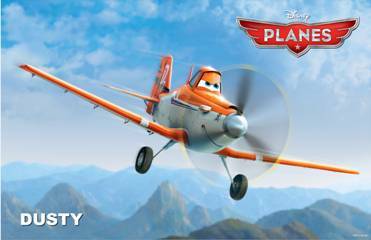 You can follow Disney Planes on Twitter and Disney Planes on Facebook, too! DISCLOSURE: My family was able to attend the movie screening for Planes for free. I was not compensated for this review in any way. All opinions are 100% mine!